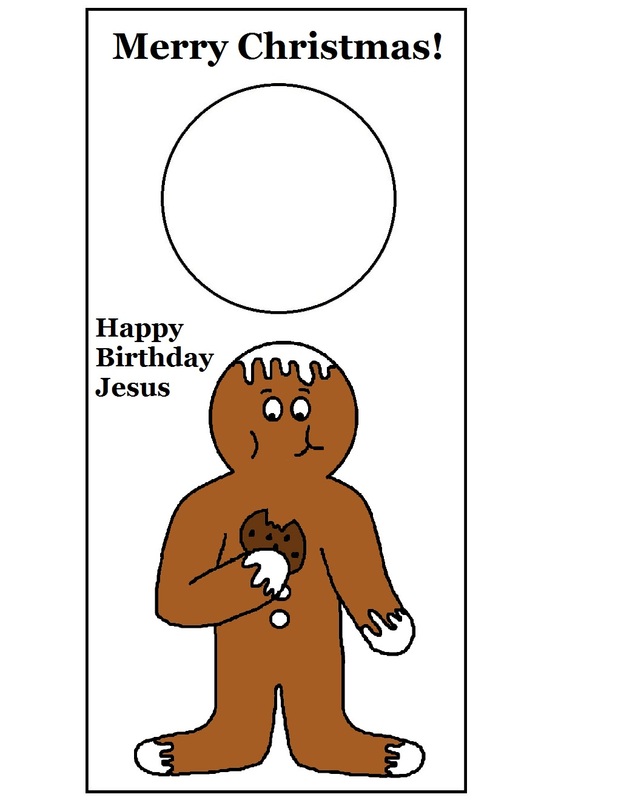 Just print this Happy birthday Jesus doorknob hanger out on card stock and have the child cut it out. You might want to help them cut the circle out of the middle. Laminate if you want. Let them hang it on their bedroom doorknob. 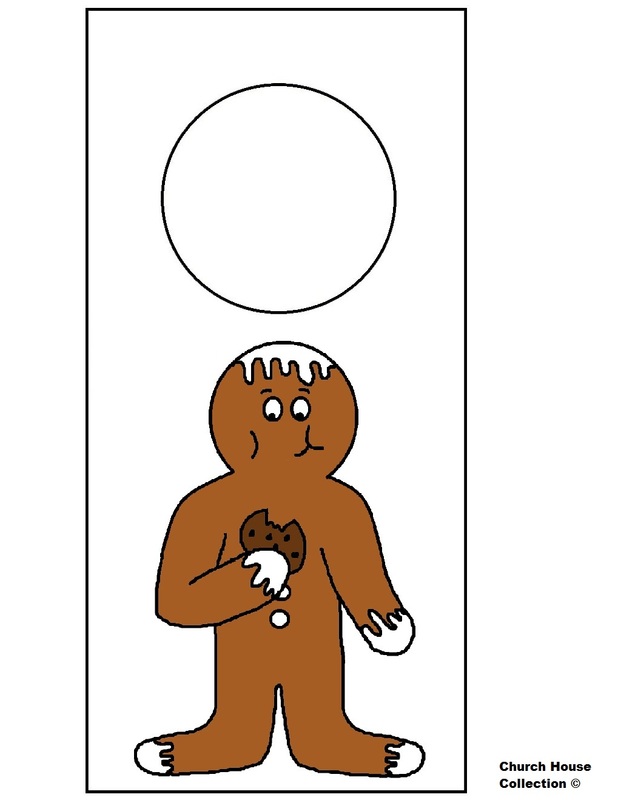 Use this for Christmas time and bake some gingerbread cookies for the kids to decorate to go along with it.